Dimensions 1.50 by 7 by 9.50 in. 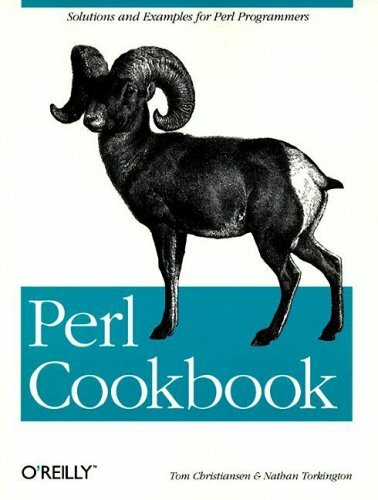 These recipes were rigorously reviewed by scores of the best minds inside and outside Perl, foremost of which was Larry Wall, the creator of Perl himself.The Perl Cookbook is written by Tom Christiansen, Perl evangelist and coauthor of the bestselling Programming Perl and Learning Perl; and Nathan Torkington, Perl trainer and co-maintainer of the Perl Frequently Asked Questions list. About: A comprehensive guide to the programming language covers updating text and binary files, subroutines, libraries, data structures, signals, screen addressing, and client-server programming.